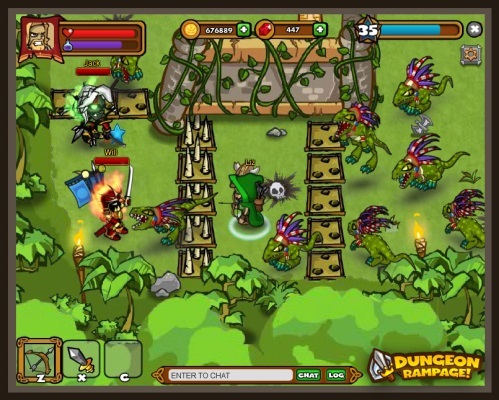 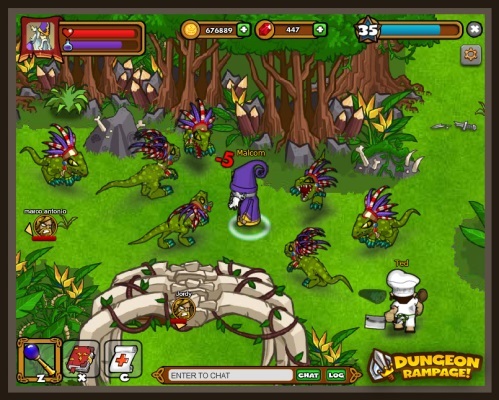 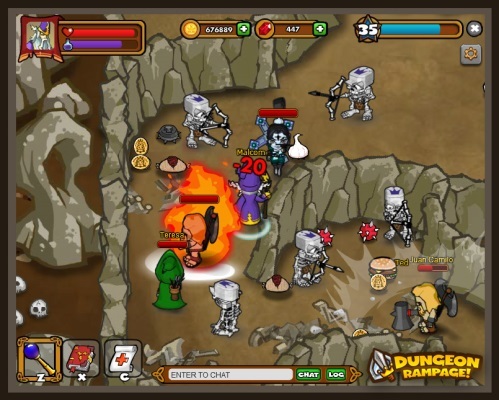 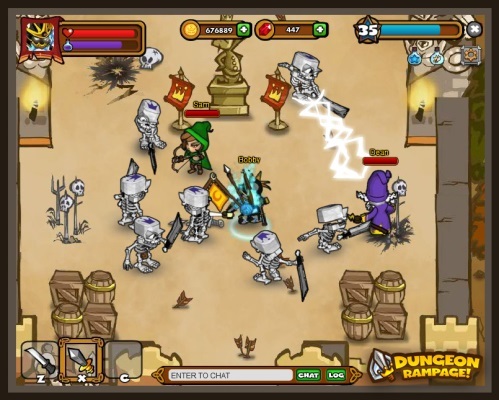 Dungeon Rampage is a free-to-play, browser-based action RPG. 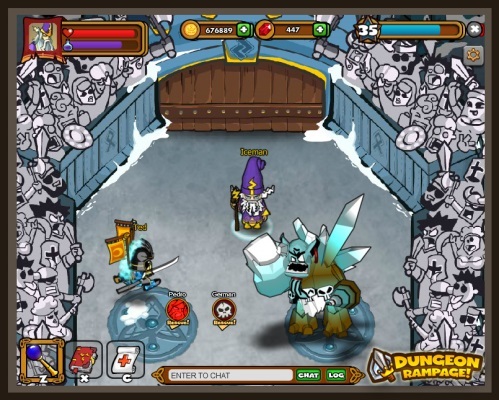 Featuring synchronous multiplayer, players can choose from one of half a dozen classes and hop into the "Dungeon Games" of the evil Lord Dinglepus. 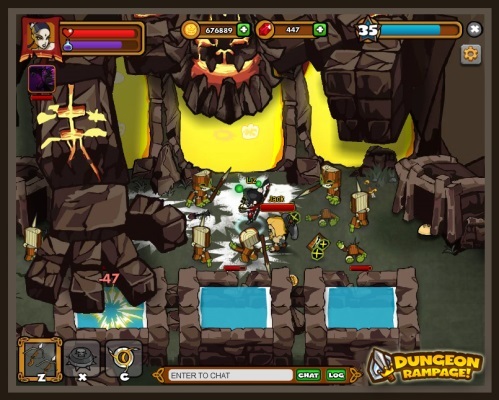 Bash, stab, cook, and shock enemies into submission as you explore random maps alone, with friends, or with other members of the community in this fast-paced dungeon crawler.